Sunroof, Leather Seats, Navigation, Heated Seats, Premium Sound Package! 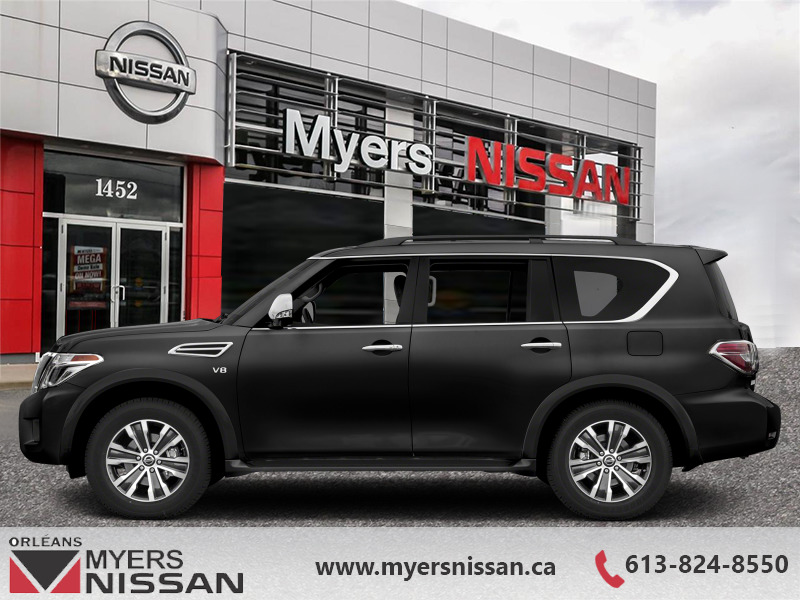 With an increased towing capacity and mileage, this 2019 Nissan Armada is the perfect fir for your active family. As the brand's flagship model, this 2019 Nissan Armada with its 8 passenger capacity and excellent off and on road manners is arguably one of the best new SUV's on the market. A well fitted and luxurious cabin keeps all 8 passengers comfortable and content as it tackles highways and back roads with the same level of expertise and confidence. High towing capabilities as well as a generous cargo space only add to the versatility of this premium SUV, letting you haul family and luggage alike with no sacrifices being made to stability or power delivery. This super black SUV has an automatic transmission and is powered by a 390HP 5.6L 8 Cylinder Engine. Our Armada's trim level is SL. This Nissan Armada brings you to the future using intelligent assistance with moving object detection, forward and reverse emergency braking and collision warning and intervention, blind spot warning with rear cross traffic alert, and distance control to keep you safe and help you drive longer. Other amazing technology includes an 8 inch touchscreen with hard drive navigation system, NissanConnect services including Apple CarPlay and Android Auto compatibility, Bluetooth streaming and controls, SiriusXM, aux and USB inputs, and MP3/WMA and CD playback capability through a Bose premium sound system to keep you connected. This Armada is also equipped with remote start, hands free texting assistant, dual zone automatic climate control, AroundView 360 degree camera, remote keyless entry with remote window control, intelligent cruise control with adaptive speed, rains sensing wipers, a 120V household style power outlets, under floor cargo space, leather seats, heated power front seats with driver memory settings and easy entry, power folding 3rd row seats, and heated leather steering wheel with audio and cruise controls to keep everyone charged, connected and comfortable. You will not feel shorted on capability with the V8 engine with direct injection, 8500 lbs max towing, intelligent 4x4, 4 wheel independent suspension, auto leveling rear suspension, aluminum wheels, LED automatic on/off headlights, fog lights, power folding heated side mirrors with turn signals and puddle lights, auto dimming rearview and side mirrors, power sliding moonroof, front and rear sonar parking aid, power liftgate, tow hitch receiver and 7 pin harness, and trailer brake pre-wiring. 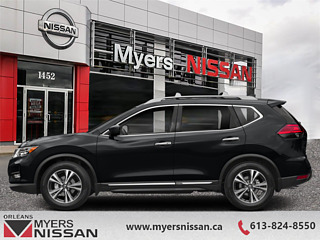 This vehicle has been upgraded with the following features: Sunroof, Leather Seats, Navigation, Heated Seats, Premium Sound Package, Power Liftgate, Memory Seats. Buy this vehicle now for the lowest bi-weekly payment of $428.62 with $0 down for 84 months @ 3.50% APR O.A.C. ( Plus applicable taxes - and licensing fees ). Incentives expire 2019-04-30. See dealer for details.